Taking an idea from its conception to a fully-fledged successful business is a journey – and at times a prolonged one. While a large portion of the opening day of the World Export Development Forum was dedicated to the macro-economic picture surrounding Sri Lanka’s role as a regional and global hub, the latter part of the day focused on the nuts and bolts of how budding entrepreneurs could execute their ideas successfully. In a panel discussion titled ‘Young Entrepreneurs Enable Innovation,’ the heads of five diverse and very successful start-ups shared their (at times opposing) thoughts on how to best push ahead with good ideas, while at the same time overcoming obstacles on the way. Before getting into their thoughts and advice however, here is a brief overview of each company and the people behind them. It’s fitting to start with Sri Lanka’s very own success story: Kapruka.com. Since it was formed in 2003, Kapruka has gone on to become Sri Lanka’s largest e-commerce company. What is most notable about this achievement though, is that it was started without any outside investment. “It is an entirely self-built company, with its own revenues. 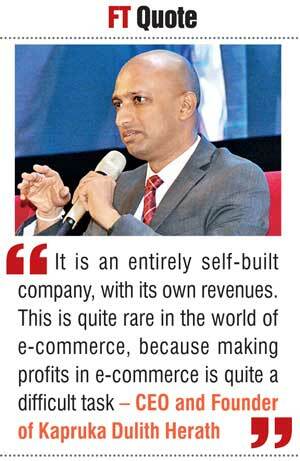 This is quite rare in the world of e-commerce, because making profits in e-commerce is quite a difficult task,” explained CEO and Founder of Kapruka Dulith Herath. One of Kapruka’s key innovations, notes Herath, is the Price Checker software which offers 99% accuracy when simulating the hidden costs, such as customs duties and taxes, of ordering from US-based online shops such as Amazon and eBay. The other major innovation is their new door-to-door delivery system dubbed ‘Grasshoppers,’ which makes it possible for anyone with a bike to be a delivery rider for Kapruka. The company is hoping to expand the idea to other countries as well. “Child Youth Finance International is focused on instilling financial knowledge, habits and values, as well as social and entrepreneurship skills, for children starting from eight up until 18. 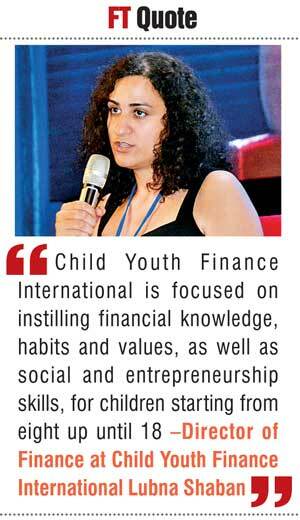 While for entrepreneurship we also look at the age group up until 30,” explained Director of Finance at Child Youth Finance International Lubna Shaban. Shaban’s department is focused on providing opportunities and support for young entrepreneurs under the age of 30, primarily through an online platform. Entrepreneurs and potential entrepreneurs are encouraged to sign up to a website, which then links them to fellow entrepreneurs, thereby offering a support network. It also links them to mentors and investors wherever possible as well. 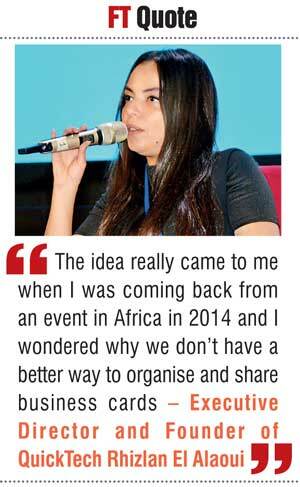 “We have around 8,000 registered users on our site from 121 different countries,” she noted. “We are simply trying to change the world,” began Chairman and Founder of Opportunity Network Brian Pallas. “And that is a very modest statement,” he continued, tongue firmly in cheek, before taking on a more serious tone. 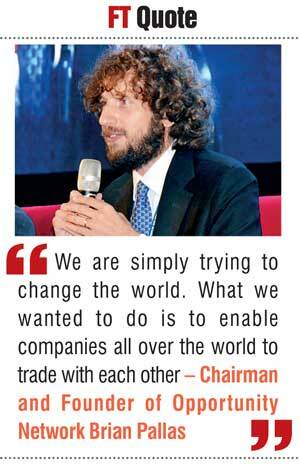 “What we wanted to do is to enable companies all over the world to trade with each other. Of course it’s a nice dream, and a few companies have been successful in doing that,” he said pointing to the success of Ali Baba in “mostly” B2C trade in China. Opportunity Network however, Pallas said, was more interested in the B2B side of things on a global scale, which presented a problem. “If you are 27, like I was at the time, it was very difficult to go door-to-door and ask CEOs of large multinationals if they would like to use my online platform to trade with their peers.” So rather than try to figure out by themselves which companies were the most promising “which is a challenge by itself,” Pallas and his team decided go to enterprises that were already conducting a thorough vetting process of their clients and customers: banks. Quicktech is the company behind EasyShair, an app and web-based service which allows individuals to create and share digital business cards freely and easily. And thus EasyShair was borne. EasyShair at present offers three key services: it allows for the digitalisation of business cards; this information can be exchanged via QR code or other means; but most importantly it offers the ability to network. On top of this, the application also provides data on the number of trees saved as a result of not using a traditional paper business card. With entrepreneurs from such a wide array of industries and backgrounds on the panel, the first question posed to them was of how to distinguish their business in a competitive field. Opportunity Network CEO Brian Pallas said that it depended on what the company’s priorities were – were they looking more local or global? Lubna Shabana however chose to focus more on the importance of innovation as a key differentiating factor, finding it to be the common denominator between the successes of all the individuals taking part in the panel discussion. “The key is innovation, but it’s important to note there are different types of innovation. When people think of innovation these days, they think of changing the entire world and shifting things on their head – sure that’s innovation but that’s just one type of innovation. CEO BeMyEye Gian Luca Petrelli though was quick to warn that innovation on its own wasn’t enough. 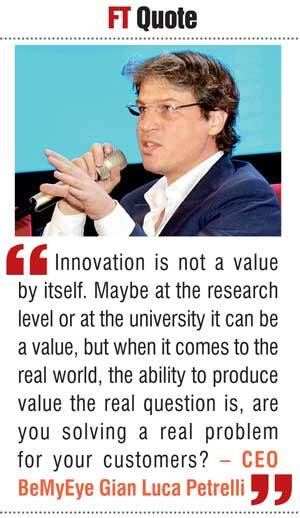 “Innovation is not a value by itself. Maybe at the research level or at the university it can be a value, but when it comes to the real world, the ability to produce value the real question is, are you solving a real problem for your customers? “My suggestion to anyone starting a new business – you hear so often that the team is the best thing or the product is the best – I think the one single thing that is the most important is the fit between the market and your product. If you get the right fit it’s going to be the market that is going to pull your product. Meanwhile on the topic of drumming up investment the panel was in agreement that money should never be the primary focus of a startup. CEO Kapruka.com Dulith Herath noted that at times a lack of money can even be an added motivator. On the topic of value creation and the process of monetising it, Herath believed that budding entrepreneurs need to focus on the bottom line “almost from day one”. Pallas meanwhile took a broader stance, stating that if you create a profitable enough value chain then even taking a small portion of it would be enough. “Each player in the chain should be getting value. Once you have enough value for them, as long as you can get a small piece of that it should be good enough. In our case, in year one we were highly profitable, but still we were taking less than 1% from the value that we were generating for our clients. Disruption has been a buzz word for entrepreneurs for a while now, with the success of companies like Uber and AirBnB opening the eyes of startups the world over on the possibilities of becoming the next big disruptor in almost any industry. But Pallas is not a fan, going as far as to urge new startups to avoid disrupting industries, and to instead work within them to help the overall growth of your respective countries. “When you start something new and disruptive, you are coming into a value chain, killing the dinosaur and replacing it with yourself. That’s more efficient for the consumer but you’re still putting people out of jobs and closing down companies. And the total GDP effect is also negative. So in other words, the value you create for your end user is positive, but the value you create for the economy is negative. One final key issue discussed was the necessity for entrepreneurs and startups to know and adapt to their respective markets. Lubna Shaban who works with several young entrepreneurs felt that while the process was the same for most, external factors did play a role. This was a point built on by Petrelli, who urged startups not to dwell too much on perfecting a product but to get it out there fast and let the market do the rest.